Some girl and a guy who went to Harvard. 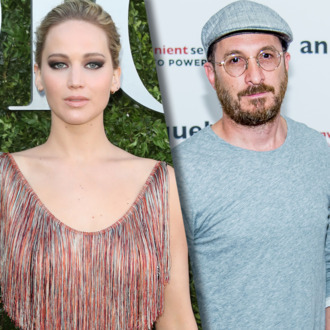 In addition to the fact that he loves both scarves and Jennifer Lawrence, a thing you might know about director Darren Aronofsky is that he graduated from Harvard. Or, as Aronofsky might put it, he went to college in Boston, well, just outside of Boston, in Cambridge, actually — no, not Tufts or MIT. “I normally don’t like Harvard people, because they can’t go two minutes without mentioning that they went to Harvard,” Lawrence said in Vogue’s September cover story. “He’s not like that.” Unlike the friends from college in Friends From College, Aronofsky is seemingly able to get through a conversation without mentioning that he went to Harvard, a school you may have heard of, and instead carries on without talking about college at all, like a normal person. Of course, when Lawrence talks about him, she brings up Harvard, so there’s really no escape. In other Lawrence-Aronofsky news, Lawrence also mentions that her boyfriend, whom she started dating after they finished shooting Mother!, finds her love of the Kardashians “so vastly disappointing.” The Kardashians did not go to Harvard. In the spirit of full disclosure, the author of this article went to school just a Metro North ride outside of New York City, in Connecticut, technically — no, not Wesleyan or Quinnipiac.